A funny gift idea for fanatic backpackers. Design reads FBI in huge letters but the fine print below tells the real story: Fanatic Backpacking Individual. A unique gift for anyone that loves backpacking. Baking t-shirts and gift ideas for fanatic bakers. A funny gift idea for fanatic bakers. 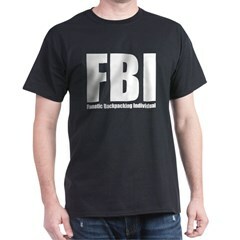 Design reads FBI in huge letters but the fine print below tells the real story: Fanatic Baking Individual. A unique gift for anyone that loves to cook or bake. A funny gift idea for fanatic balloonists. 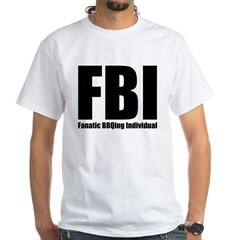 Design reads FBI in huge letters but the fine print below tells the real story: Fanatic Ballooning Individual. A unique gift for anyone that loves riding in hot air balloons. A funny gift idea for fanatic barbecue fans. 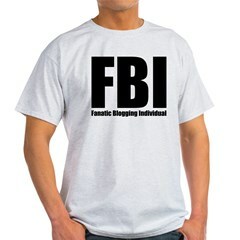 Design reads FBI in huge letters but the fine print below tells the real story: Fanatic BBQing Individual. A unique gift for anyone that loves BBQ cooking out on the grill! Bowling t-shirts and original bowling novelties & gifts. A funny gift idea for fanatic bowlers. Design reads FBI in huge letters but the fine print below tells the real story: Fanatic Bowling Individual. A unique gift for anyone that loves to bowl! A funny gift idea for fanatic boxers. Design reads FBI in huge letters but the fine print below tells the real story: Fanatic Boxing Individual. A unique gift for anyone that loves boxing.